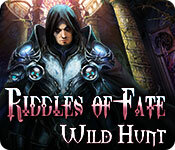 Riddles Of Fate: Wild Hunt is rated 4.3 out of 5 by 33. Rated 5 out of 5 by ZzzzCatzzzZ from Great game! Such a great game to play! Lots of fun. Wanna be a detective? Try this! Rated 5 out of 5 by Robcol from This was a very good game Actually, I have played it twice with the same entertainment value. Rated 5 out of 5 by HappyMommy332 from Creepy, dark and eerie, all the things i love! I found this game to be a great challenge at times only because the map, although great for teleporting, doesn't show objectives that need to be done now. instead it shows objectives that need to be done waaay down the road so all the places were marked as things need to be done so that was challenging when its been awhile and you finally get a tool you can use but cant remember where to use it. I do agree with one other reviewer about death being so weak and a woman having to do everything, kind of funny but hey I will help him because he is a cute bad boy haha. All in all though this was a great game, kept my interest until the end. storyline was original and that's a nice treat. I'm sure you will enjoy this game...have fun!! Rated 5 out of 5 by MisterBear from Nice Long Game I really enjoyed this game. The storyline was unique. There was a nice mix of HOS and puzzles. Game length was great. Rated 5 out of 5 by LadyJez from What a bargain for this game Won't even go into the story as others have done so. I have spent hours of great fun with the story, games, HOS, etc. Nothing to complain about but it was a bargain for the CE. Have nothing but praise for the developers--bravo. Rated 5 out of 5 by rpggramma from Good game. As usual, Elephant gives you your moneys' worth! Game worked me very hard!! Thank goodness for the interactive map, bc I had a time finding stuff! Most of my time was used at looking for things to move the game forward! Game was very good. Interesting storyline. Puzzles were plentiful and good. Few Hos. Game was very long for me, and very enjoyable! AND BELIEVE ME, DEATH DOES LOOK LIKE DEATH!! 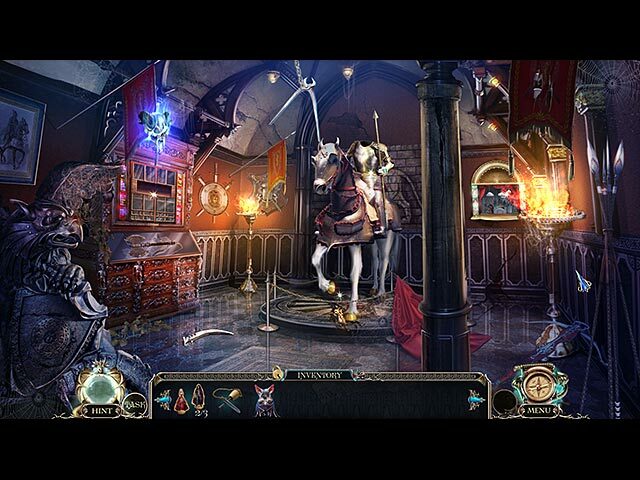 Rated 5 out of 5 by BlackWaterRules from Dark and Eerie Hidden Object Adventure The human child of Fate is born. Dark forces are out to destroy her, first by imprisoning all females in the kingdom in an attempt to find her. Endter the hero Detective who has come to save her. This game has an excellent soundtrack, beautiful piano and violin music, excellent voiceovers, especially on the talking spirits. The graphics are beautiful, very well drawn. Mini puzzles are simplistic but a lot of fun and very entertaining. 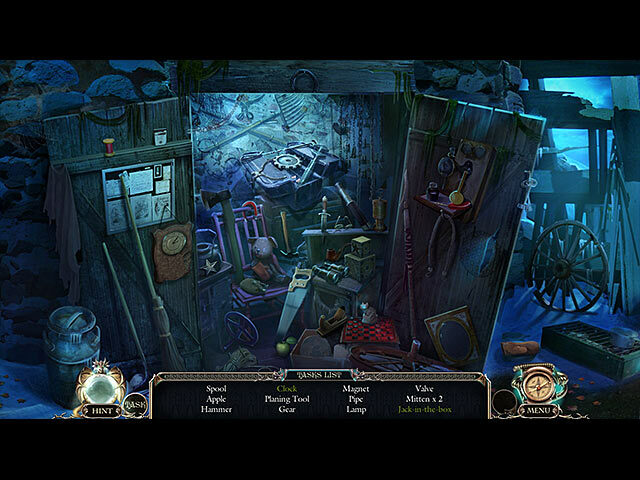 Hidden object scenes are the interactive list type, again, very entertaining and a lot of fun. There is a task list and an interactive map to assist you. Additionally you will have Louie the bat to assist you in reaching things that you can't. This is a very complex game, with a lot of back and forth, hunt and find, beasts popping up unexpectedly, and scattered notes to find and read. It has all the bells and whistles that the CE had. Excellent value in this SE. Rated 5 out of 5 by nwind from Loved it! After all, what red-blooded woman doesn't have just a bit of a soft spot for a good looking, bad boy, sort-of hero? 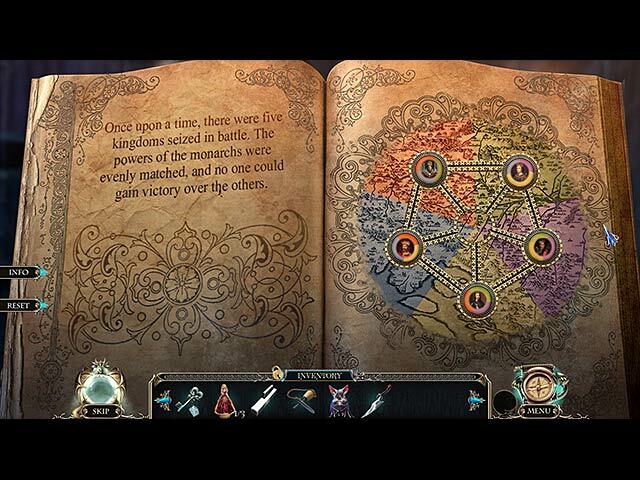 Actually, the story was great, the art work was great, good balance of puzzles and HOS. The overall quality of the game is very much what I have come to expect from Elephant Games, which is to say, excellent. It makes me wish that the publisher information could be incorporated into game descriptions on the sales pages. There are some publishers that when you see their logo come up, you just know that a really good game will follow!